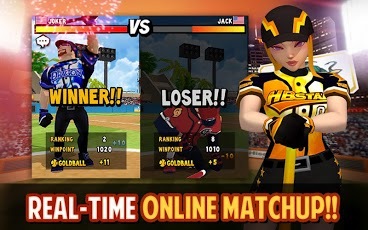 Make it an All-Star Summer with Homerun Battle 2!The Homerun Battle Series is at its PEAK!20 Million Sluggers worldwide battling it out in 300 million online match-ups!Back and better than ever, the beloved real-time worldwide slugger battle has a sequel! Prepare to play the best android baseball s... see more Make it an All-Star Summer with Homerun Battle 2! Back and better than ever, the beloved real-time worldwide slugger battle has a sequel! 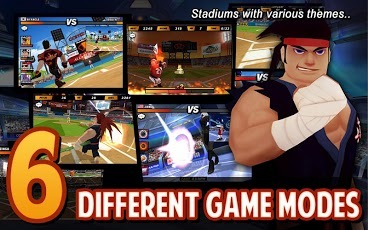 Prepare to play the best android baseball smashin&apos; game against sluggers worldwide. TouchArcade: "Homerun Battle 2 has all the elements that made the original such a hit and more. It&apos;s fun, it&apos;s easy to learn and it&apos;d keep you occupied for a considerable amount of time."